WHO: All area parents are invited to attend, free of charge - your children do NOT have to attend the school. This presentation is relevant to all parents and grandparents of children from preschool through college. Digital content and digital connectivity are critical to: our children’s academic success and preparation for a 21st-century workforce. An overwhelming percentage of adults and children are “connected” 24/7/365. But what does that mean? 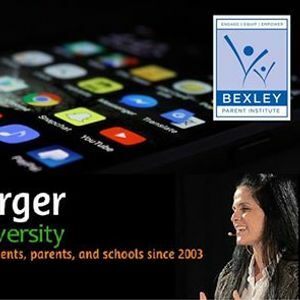 If you are not deeply concerned about the safety of your child as they travel the web on their: phones, tablets, laptops, and gaming devices - you should be! 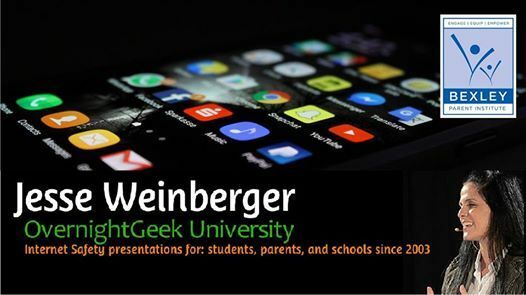 "In my long career in education I have yet to experience a speaker that has captivated an audience in the very informative yet entertaining style of Jesse Weinberger. The time flew as parents could not get enough of her valuable insights, suggestions and guidance. It would be hard to recommend a speaker as strongly as I do Jesse Weinberger!!."